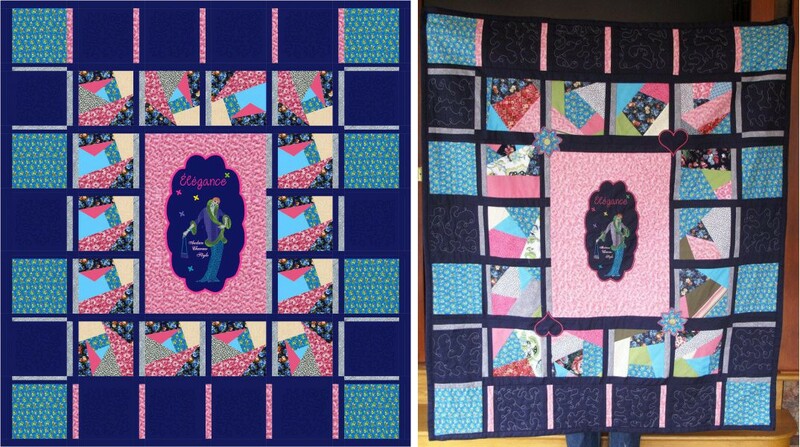 This was my very first quilt I had designed with EQuilt. The middle is a large embroidery design from my Pfaff software and placed on an appliqué border (note that I was not able to convert the appliqué and I had to create a filled border design instead). 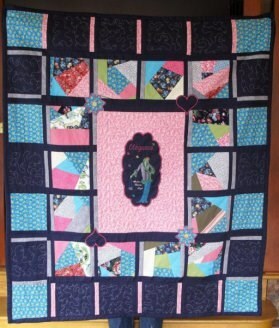 I had originally put this quilt for sale but decided to keep it for myself! From ME to ME with love! LOL! 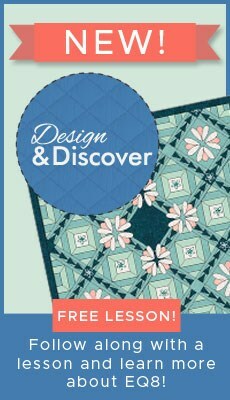 I use EQuilt all the times… even to now design my various sewing patterns.